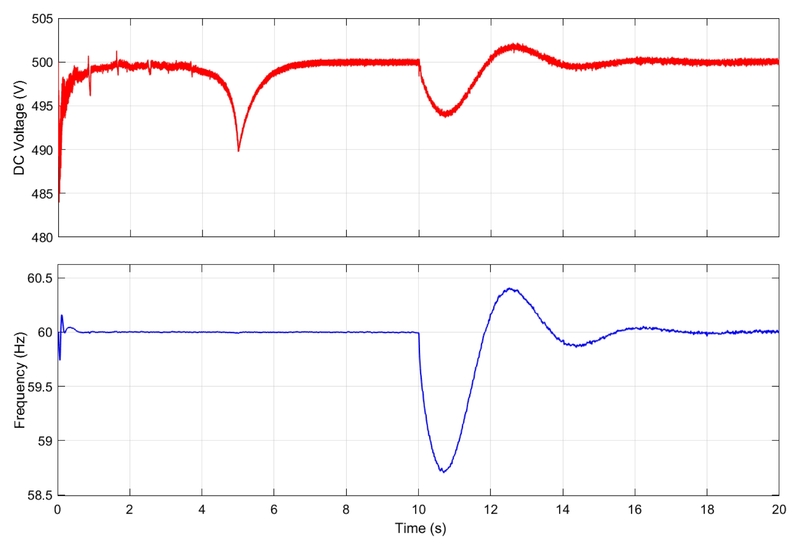 DC voltage and AC frequency responses for the first case. The DC voltage deviates at t = 3s but is restored at t = 7s. The utility is disconnected at t = 10s, resulting frequency and DC voltage deviations for 6 seconds.